Several layers have been built up which will help to create a more three dimensional portrait and enable the darks to glow rather than being flat and dead. 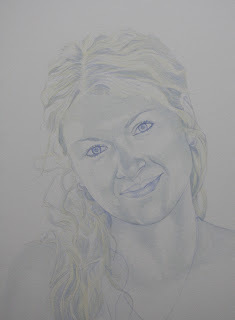 Her features will continue to be refined as the portrait progresses. 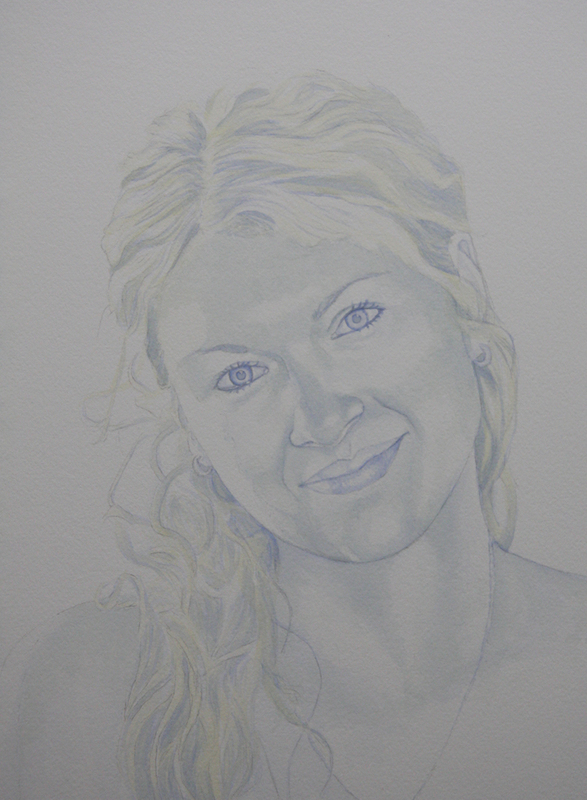 As the skin colored layers are added the shadow on her nose will become softer as will her lips and eyes.